Maybe its the fact that I've been a slacker for two weeks but I've been wanting more casual stuff. Tees and sneakers. Of course I could drop a quick grand at JCrew because I'm always in love with their glam preppy style but what I'm tracking down right now is this girly jersey shirt. I actually saw it in a restaurant's shop with their slogan on it, but they stopped carrying the product. While I would have loved their branded shirt too, I'm happy with the plain, as long as I can get the fuchsia on pink and the pink on chocolate. I even have some matching sneakers to wear with them! And speaking of sneakers, I can't stop thinking about buying more. Maybe it is the influence of all that oxford-wearing in the Fall, or the fact that I've barely put on anything other than Sorels, wellies or my Moroccan slippers for the last two weeks, but I'm not shopping the sales for heels. I'm wanting tons of sneakers! 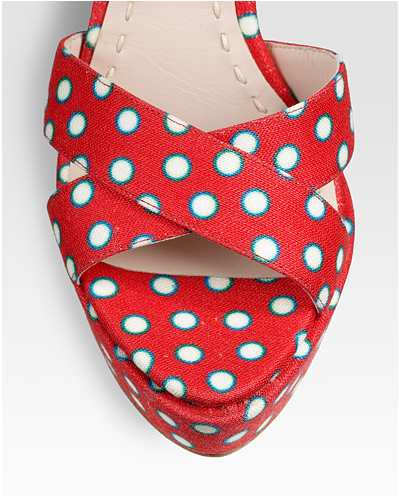 I'm particularly wanting the be-ribboned Satire sneakers from Simple. 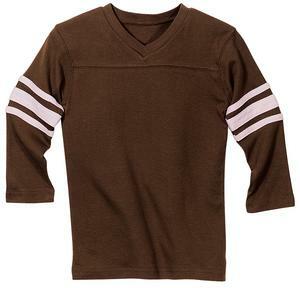 I really love the brown (bison) and blue ribbon combination on the hemp ones here. 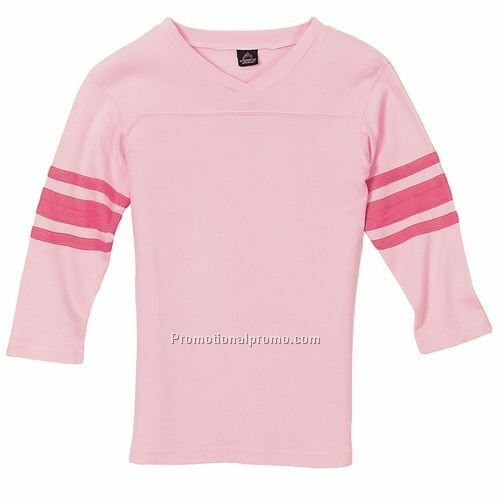 But the charcoal grey and pink is sweet as well. And those grommets will keep your feet cool too, I bet. And the black and sky blue is great too. I've found the prices for this brand varies all over the web. It's best to do a search and see what you can find, but the range as been from $25 - $60. They have some other sweet styles like cute oversized gingham in pale pink and a light tan that I'm also keeping my eye on. 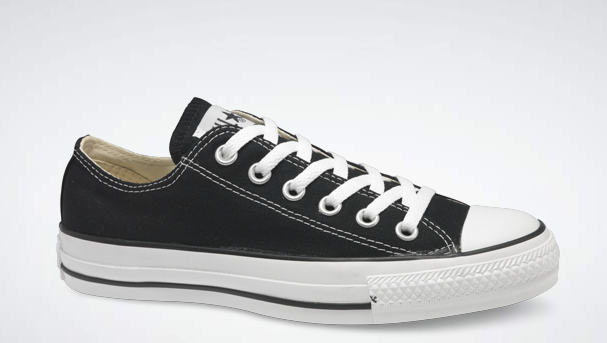 But the real classics I love, besides Keds of course, are Converse Chuck Taylors. I started with white high-tops and off-white/natural low-tops, then got red low-tops, sequin ones and pink high-tops. I'm obsessed. 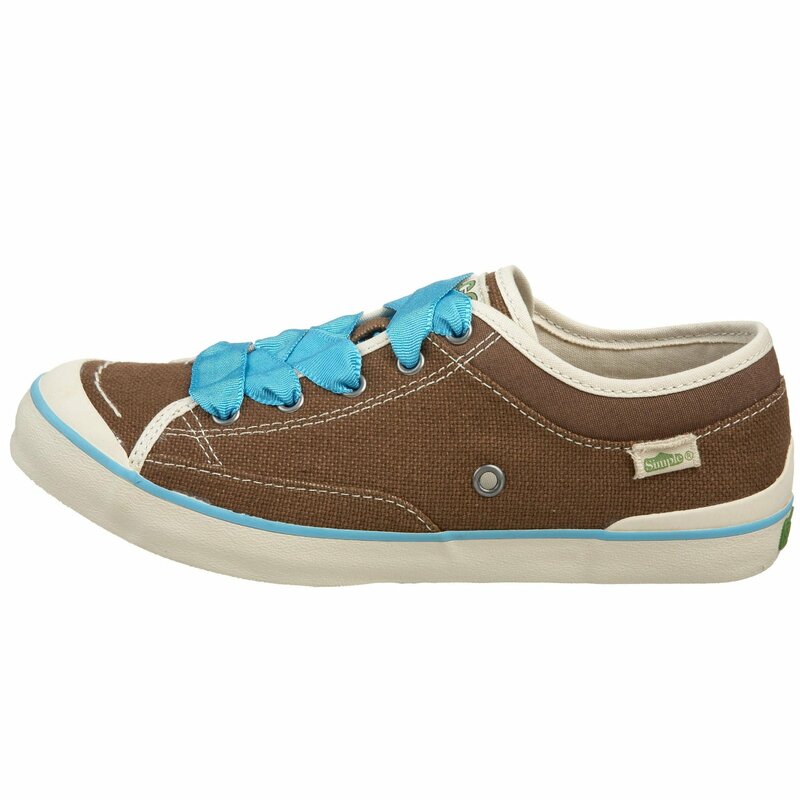 I really want to get a pair of basic black ones, but have held off. Maybe now is the time. 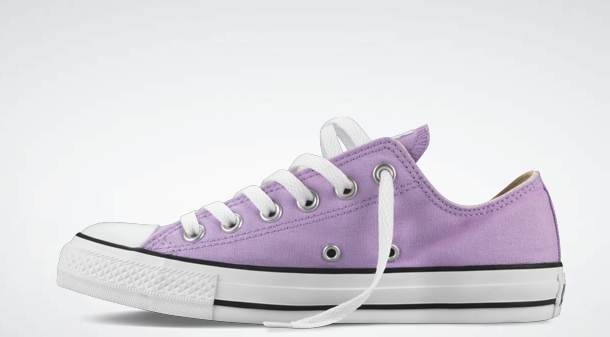 But Converse does some amazing seasonal colors. Right now their rolling out their Spring seasonal colors and they are just too adorable. If I could, I'd get them all but since I have to narrow it down, I think I want this gorgeous lavender "Lupine". I'd wear it with a sparkly necklace and lavender cardigan paired with jeans, a denim skirt or even dressing down a pencil skirt. And this yellow, and yellow isn't even a color I really wear, has sucked me in. 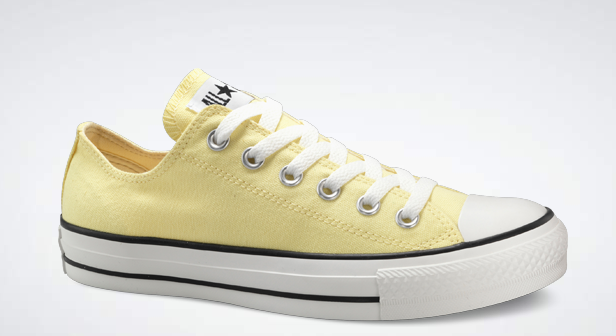 It's called "Lemonade" on the site but it reminds me of the light yellow SweeTarts. I needs them! Okay, I need to go troll the web for some coupon codes, because I think I am going to have to get them all! I'm not sure if I've ever experienced a real "White Christmas" where you go to bed and then you wake up to a snowy world. But this year we did. I know the snow is everywhere on the East Coast but it's still pretty magical to me. But I think our pup Oona is the most excited. I hope you all had a wonderful holiday and are staying safe and warm. 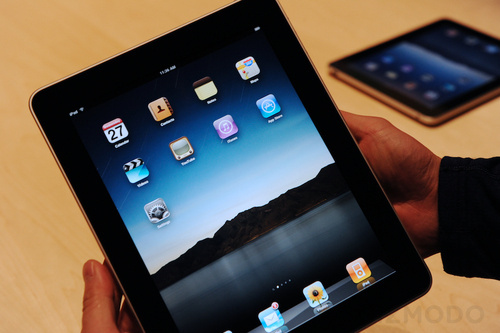 As much as I'm a shoe fiend, I'm also a technology junkie. Sadly, I have an enabler in the form of my husband who gifted me with an amazing gift this year - a shiny new 64GB Wi-Fi/3G iPad. I didn't drop hints or anything, honest! Since I've been planning on getting one, I have a ton of links to cases that I've also been thinking about too. I don't like the gel cases or skins, okay, more like I don't trust myself that those are enough protection. I ruled out a sleeve or envelope style. 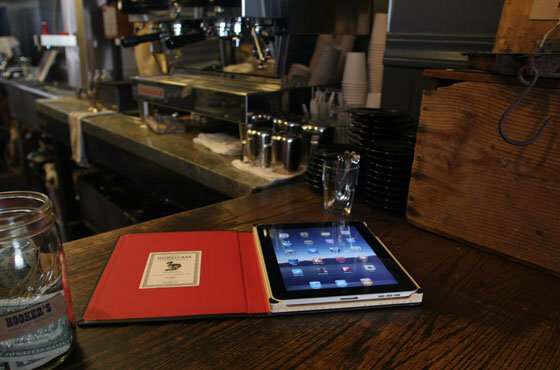 I think it would be awkward to take the iPad out and then have to deal with the case. I'd rather it remain all together. So I want a more protective piece. Here are the three I'm really thinking about. 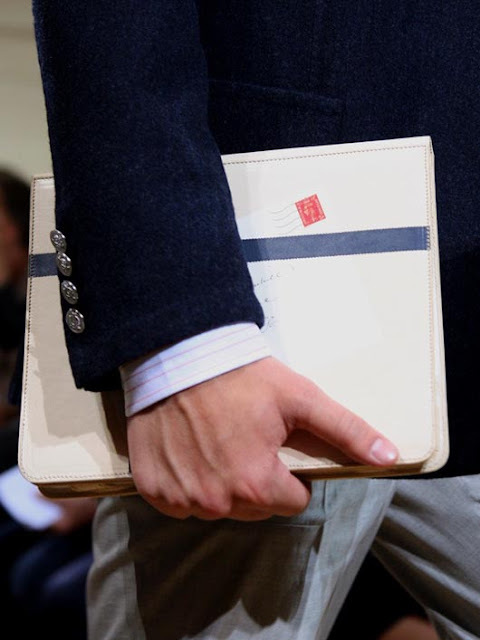 First of all, I'm totally loving this nautical, school-boy style from Dunhill. Sadly, it won't be out until Spring, but even if I get another case, I may still get this. It's lovely! But a part of me also likes the more book style of the DODOcase. 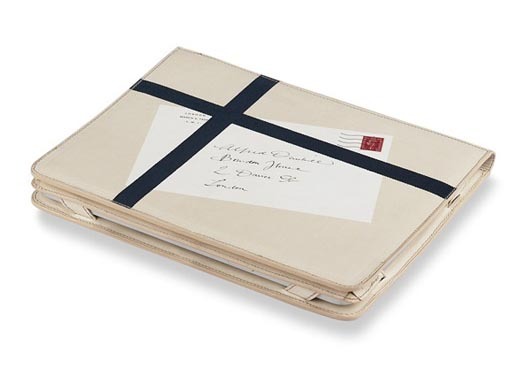 Not that I'm alone, since this Moleskine-looking, handmade case was ranked as the #1 case of the year. I'm thinking of the pink interior. But I like the more fashionable InCase convertible book jacket. This will match my AcmeMade laptop case that I use for work and the case also allows you to watch or work with the iPad at 3 angles. Heck, I may get all three! But now I'm off to check out some apps and think about accessories! Hope you had a fund Christmas too. What'd you get??? 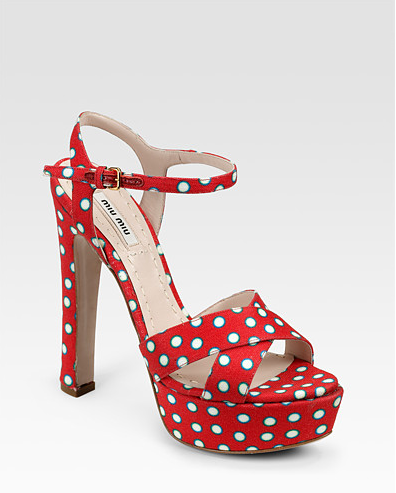 While I'm very excited and pining for the Prada and Miu Miu spring shoes, I'm a bit smitten by the playful polka-dots of their Resort sandals. The whole collection is great. I'd love to have matching shorts and color coded neck puff as well. We've been on technology detox around here. I've been avoiding the computer for pretty much every reason - limited media consumption, no work, no pictures, etc. It's been all cooking and reading and going to the movies and out to eat. And there's been more time to make stuff. 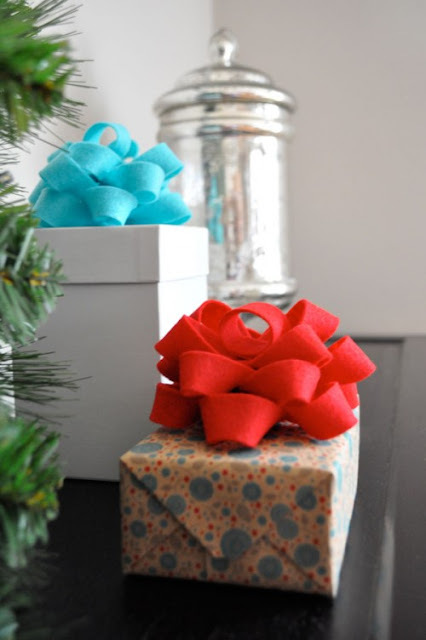 As I mentioned the "I don't do Gift Guides" post, we try to give consumable gifts. In the past I've made chocolates or treat packs or we've given local food items that share our regional flair. I had the idea for this year's gift last year and it became a joint effort for me and the husband. We gave Sugar & Spice gifts - aka vanilla sugar and homemade spicy mustard. The vanilla sugar is fairly easy to make. You just need granulated sugar, vanilla pods and a food processor. Scrape the beans out of the pod with the back of a knife and add them to sugar in the processor and pulse until well distributed. I used about a pod per 1.5 cups of sugar. I then added a half of the empty pod the to sugar container when you package them up. The longer it sits the more infused the vanilla flavor becomes. We packaged these in clip-top canning type jars but any well sealed container would do. Vanilla sugar is great on cereal, fruit, toast or in coffee. The second part of the gift was a spicy mustard. These were packaged in small ceramic jars with sealed lids. I used red and white bakers twine around the top edge for decoration and to attach a small wooden spoon. This makes a good spicy deli-style mustard but is very simple to make. The recipe comes from The Mustard Cookbook by Sally & Martin Stone. To prepare you add the whole mustard seeds to the wine vinegar and the wine in a small bowl and let stand for 3+ hours. Pour the seeds, wine and wine vinegar into a blender or food processor (we used a blender) fitted with a steel blade. Process with several pulses until the seeds are bruised and broken. Add the dry mustard, salt, allspice and water and process for 30 seconds. Scrape down the sides and process for 30 more seconds. Transfer the mixture to a sealed container and let stand at least 12 hours before using. Store the mustard in the fridge and enjoy with pretzels, on a yummy veggie sandwich or saute some green beans. We may even try to play with the recipe and some agave nectar to make a honey-mustard style version. If it works out I'll share that too. 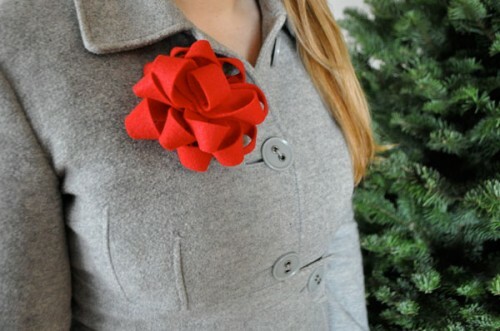 Last year I saw this adorable felt bow project on Twig and Thistle and new I had to make one of my own. They actually used a tutorial from How About Orange on making bows from magazines and other papers as the inspiration for the felt version. Isn't this sweet? 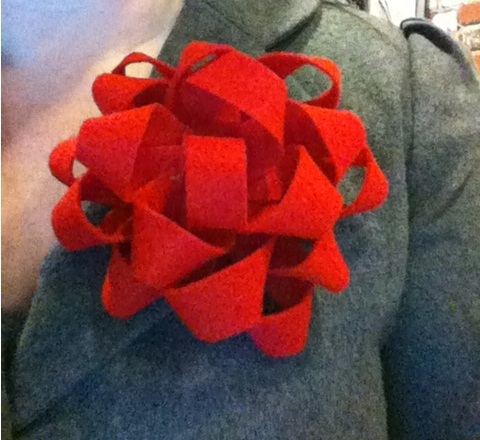 I love it on the presents as a special topper but it's so perfect as a classy yet festive holiday brooch. I had almost forgotten about it but yesterday it popped into my mind again and I ran out to grab some felt. Luckily I already had pin backs. It takes a bit of time to cut out all the strips so they stay even. That was the longest step. This is the first bow I made so it's a bit of a test bow but it turned out great, I think! So, unoriginal, I know but I styled it with a grey blazer as well. It jazzes up my otherwise boring work outfit of jeans and black flats. The red bow is classic but I'm going to try a nice dark evergreen green (maybe for the hubby to wear) and I found this amazing alligator print embossed felt in red that I'm really excited to try out next. I'll post pics. 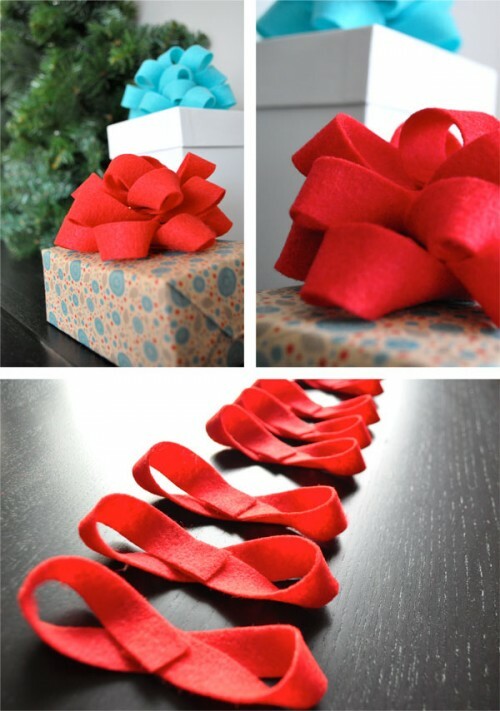 If you want a simple yet festive bow to wear or decorate with this is it. Plus it's inexpensive. I only needed 1 piece of felt which is $0.29 and the pin back which are 50 for $3. 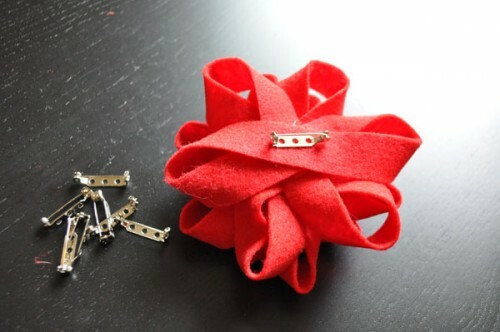 If you have a glue gun already, you're set! Photo Credit (all but last two) from Twig and Thistle. It's not typical that a blogger would direct you away from their site to read another blog, but Suze at Miss Vinyl Ahoy has done a tremendous write-up covering some sketchy selling practices at ModCloth. As a person who wants to help make sure consumers are informed and spend their dollars based on their convictions, I think you need to give it a read. Whether you keep buying there are not, it's good information. I've had some issues with ModCloth's (seemingly new) practice of selling obvious knock-offs in spite of their self-promotion as supporters of indie design. But this ads a while new twist to the discussion. I hope you will join in the conversation. I know I'm going to be following along. Between trying to get work done before I'm out for the holidays and videos like this, I can't focus at all! How are you making it through this pre-holiday week??? So I followed my heart and heeded your advice and went for Option 1 of the Party Outfit options - the ruffle-y dress with a poofy crinoline and hawt heels. 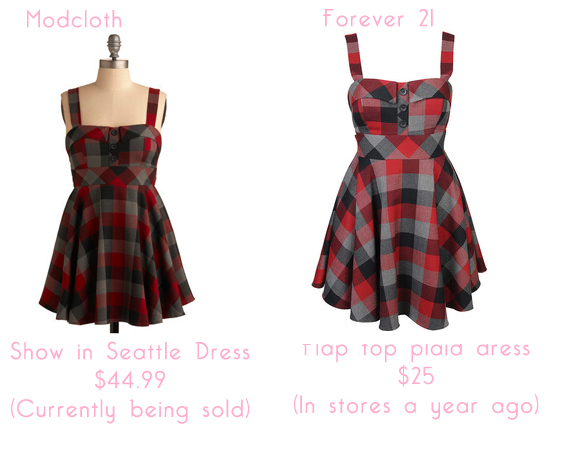 It was super fun to wear this and the inexpensive Forever 21 dress did me proud. I felt quite festive all night long. I ended up wearing, on the advice of the hubby, polka dot stockings which I paired up with the Manolo Blahnik Campari mary janes. And I used this cute little vintage beaded purse to hold my lipstick, lipgloss and phone. The peachy flowers echoed the embellishments on my cardigan. Make-up is usally pretty simple for me, even when going out - some shimmery shadow, a bit of eyeliner on the top and Chanel's Rouge Coco "Paris" lipstick. I got all ambitious on Friday night and took a whole slew of pictures for posts. I've been meaning to take outfit posts all week but have been leaving so late from work that it didn't work out. But I had time on Friday so I thought I would try the auto-timer. But the angles and lack of light made them all turn out crummy, so I asked the hubby to take a few shots. Somehow I look like I'm 2 feet tall in a Willy Wonka room. How did he even manage that?!? But look - my hair's still dark! And apparently I've lost all my lipstick and eyeshadow! Whoo hoo! But I did have sort of a cute outfit on. Purple cardigan from New York and Company, lavender polka-dot cami from Target, woven, almost knitted skirt from Anthropologie (about 8 years ago), brown tights and Nine West TwoStepr pumps. The details are what make this skirt, the overlapping panels, woven together multi-colored yarns/threads, the mint green velvet ribbon stitched through and the pom-poms. I actually tried to style this similar to how the skirt was styled in the catalog. I wish I'd saved it. At the time they had these awesome wingtip heels in the shot and I couldn't find them in my size. So I gave Nine West a shot and came away with two perfect pairs that had all the details I was looking for. These are great because they fit perfectly and are not too high for walking around all day. They're so snazzy, I love them. They feel like precursors to all the brogues and oxfords I'm wearing now.